Dynamic creative optimization (DCO) is a display ad technology that creates personalized ads based on data about the viewer at the moment of ad serving. 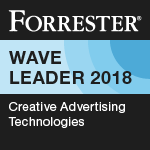 Because the creative is both more relevant and also tested and optimized, dynamic ads typically outperform their static counterparts—sometimes by a significant margin. One of the most common uses for DCO is product retargeting ads. These ads show dynamic content based a person’s website browsing, such as products viewed or added to a shopping cart. Dynamic creative ads can also be used for prospecting and other similar campaign goals. These ads often use the common dynamic creative targeting variables of location, behavior, device, demographics, and context. This above list is not exhaustive. Practically any data source can be connected to a dynamic ad. Dynamic creative advertisers can also automatically optimize ad creatives based on split and multivariate testing. Product retargeting with dynamic creative is often more than simply showing the last product seen. Often multiple products will be shown in a retargeting ad. One expert tactic is to retarget the user with best-selling items in the same category they viewed. An entire logic engine can be programmed on the back end to weight and score various products and use machine learning to find exactly what products perform best. While the sky may seem like the limit in what can be achieved with DCO, optimizing too many variables requires a lot of impressions to reach statistical significance. That’s why it is recommended to optimize a smaller number of variables in order to iterate faster. More complex dynamic ads of this type of DCO execution tends to make sense for campaigns with a lot of impressions over a significant time period. DCO can also interpret targeting variables, which are typically passed from the data management platform (DMP) down to the DCO ad server, to generate a personalized ad based on the information in those variables. Apart from a DMP, other feeds of data can be used. Some dynamic ads, like those possible with Thunder’s DCO app, also have built-in audience segmentation that can be leveraged. For example, through geographic data or an IP address, an ad server can understand the location of a user. Using DCO, ad creatives can then deliver personalized messages that are determined by this data. In the case of geographic data, that message may be the location of the nearest business location and deal or rate available at that location. An ad’s image, product, text or calls-to-action can be dynamically changed to deliver relevant messages to an individual. Some vendors allow the entire template of the ad to be changed. The personalization of the dynamic ad uses logic from a programmable decisioning tree. Real-time bidding (RTB) makes the process possible because some much specific targeting data is available able the people seeing the ads. Below is an image of dynamic ad performance analytics that is broken down by audience segment. In this case, the segments are ranges of estimated home values for the user. DCO ads can use data like this to predict what combination of creative and audience segmentation will perform the best over time. 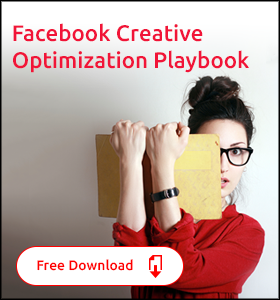 By now you have probably realized that the definition of dynamic creative optimization is a little convoluted. There are many different ways these technologies can be used. The biggest distinction in the definition of the terms surrounds what is technically dynamic creative, and what is dynamic creative optimization. DCO is often used to describe dynamic creative, ad units that may assemble on the fly and change content, but which are not automatically optimizing. Without any optimization component, this is not technically correct. However, it has become common parlance that when talking about DCO that you may simply be talking about dynamic creative. Here are some examples of dynamic creative. One type of dynamic creative ad unit is a product retargeting ad. This ad has dynamic content, such as the last product someone saw on a retailer’s website. In that way, it is simply dynamic creative. However, many retargeting executions will include some kind of product suggestion engine. This engine puts up related products in the retargeting ad as well. Because the engine employs elements of machine learning, a more sophisticated retargeting ad could be considered DCO. Another frequent use of dynamic creative relates to geolocation. Many hotel companies and airlines want to showcase specific fares to individuals in specific cities. It wouldn’t make sense to see a good deal on flying from Dallas-Fort Worth to Seattle if you live in Atlanta. These dynamic creative units are probably not optimizing. They are simply picking the appropriate offers from a table of data based on the location of the impressions at the time of ad serving. How do Creative Management Platforms (CMPs) relate to DCO? Creative management platforms are another class of programmatic creative technologies that offer dynamic creative ad capabilities as just one part of a broader offering. CMPs may also allow for mass versioning of banners and social ads, as well as rich media functionality and sometimes video. When you look at a DCO ad, then, you may be seeing a dynamic ad from a CMP, or you may look at a more traditional one-off execution. 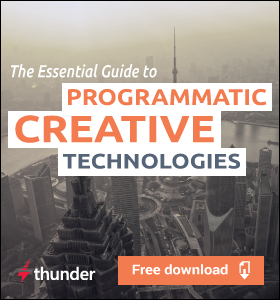 Programmatic creative, CMPs, and DCO are often grouped together, but the three are not the same thing. In many ways, they are subsets of each other. Programmatic creative > CMP > DCO. 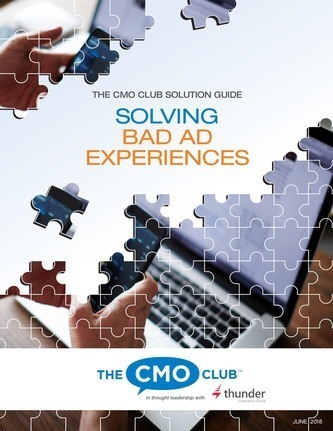 To learn more about their differences, see Programmatic Creative vs. Dynamic Creative Optimization. This year, over $6 billion will be spent on DSPs and DMPs to precisely target advertisements. Programmatic creative activates that data with precisely tailored messages. 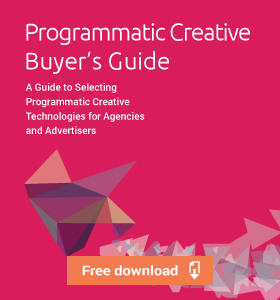 This comprehensive 35-page guide will help you understand the quickly-evolving world of programmatic creative and will answer the questions you need to know before undertaking programmatic creative. 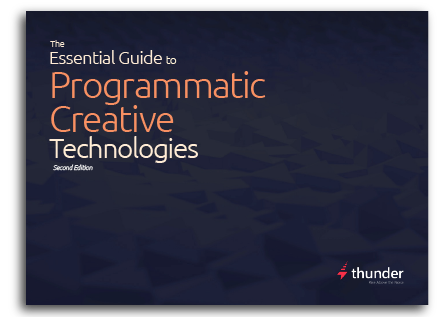 Master the creative technologies that will transform how your organization approaches programmatic marketing.